You filled out your return and the worst happened: Not only do you owe taxes on April 18, you also owe more taxes than you can throw together from your own savings, a handy-dandy mom loan, and emergency couch change combined. 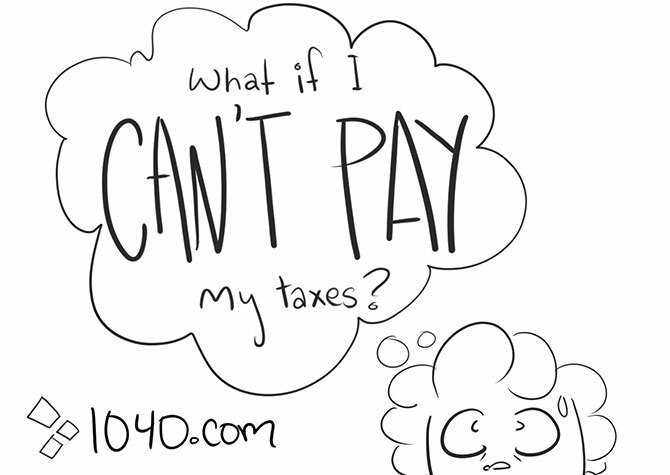 Rule number one of owing more taxes than you can pay? Don’t ignore the problem. 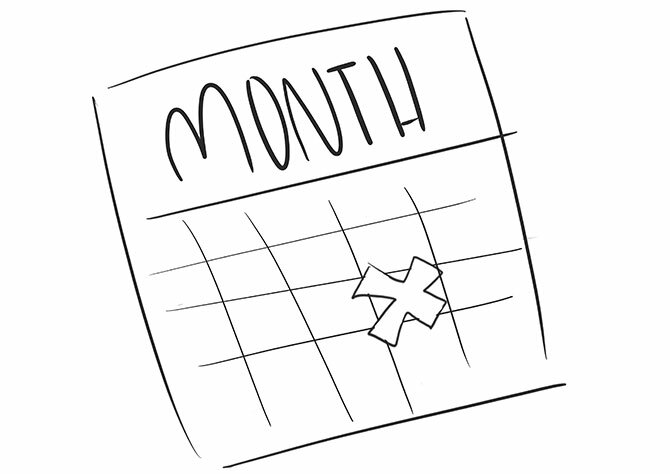 Each month that you don’t pay comes with a penalty fee and interest added to your balance. But listen, the good news is that you have a couple options if you can’t make your entire tax payment by mid-April this year. Yes, you’ll have a little interest and a monthly penalty to pay, but if you can pay the taxes you owe within a couple months, paying what you can now is a smart move. Go ahead and pay what little taxes you can by April 18 and budget for the rest during May or June. That way, you’ll reduce the interest on your total tax bill and minimize the penalties owed for paying late. An Online Payment Agreement is an installment plan you can apply for through the IRS’s website. The agreement allows you to set a monthly amount and a day each month to make your payment. So long as the combination of your taxes owed and any penalties and interest is $50,000 or less, you’re good to go. You may even be able to qualify for a short-term agreement if your balance is under $100,000. Online Payment Agreements are pretty easy to apply for. All the information you need should be easy to get, since you just used it to file your return: filing status, Social Security Number, address and so on. Just know that there will be a fee to set up the agreement that can range from $31 to $225, which will be added to your total bill and paid over time. Now, if your tax debt is too high to pay back, even in installments, you may qualify for an Offer in Compromise. An Offer in Compromise is an agreement between you and the IRS to settle for a smaller amount than the tax debt you owe, an amount that suits the best interest of both you and the IRS. 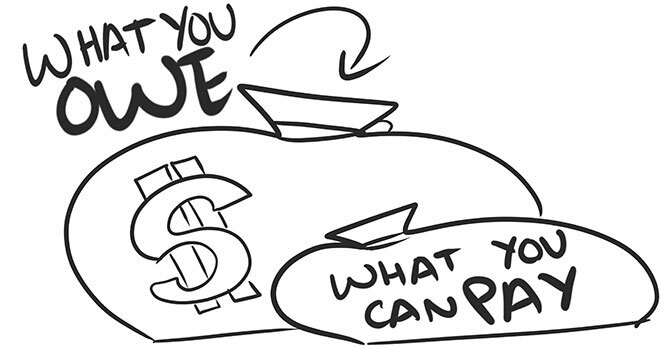 The trick is finding that amount: you must make an appropriate offer based on what the IRS considers your true ability to pay, given factors like your income, expenses and any assets. Filing an Offer in Compromise should be more of a last resort than a first choice. You have to pay an application fee of $186 per offer, and if the IRS doesn’t think it’s fair, they’ll reject it and you have to start over. Luckily, the IRS provides an Offer in Compromise pre-qualifier tool to calculate whether you’d qualify before you apply. Going forward into the next year, it’s a good idea to adjust your W-4 or pay more toward quarterly estimated taxes to prevent ending up with a large amount of taxes owed at the end of the year. That way you can prevent the “I can’t pay my taxes” panic and prep for smooth sailing during – and after – the tax filing process.